For the past month or so (or it could be longer... it IS still August, isn't it?) travelling the Grande Rue by car has been a bit of an effort. 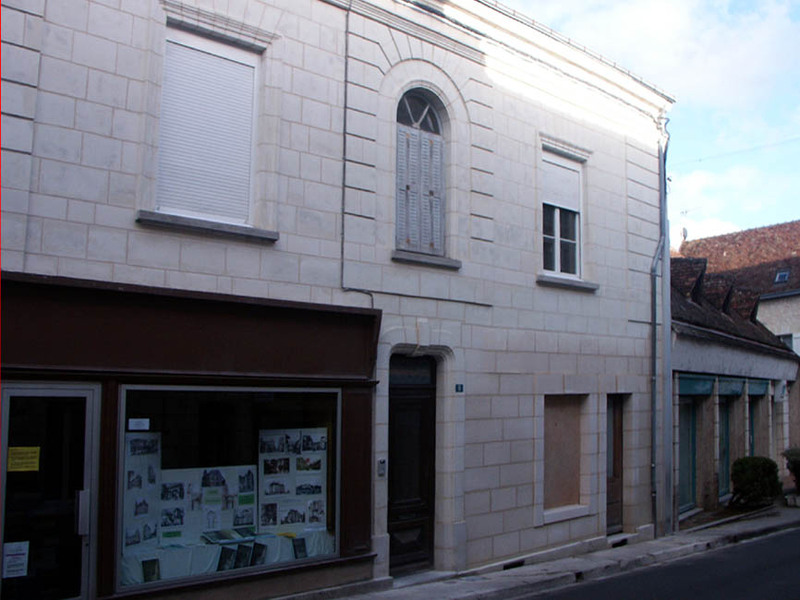 Not only has the top of the street been excavated (in the interests of renewing the water mains), but there have been two teams of masons at work on the facades of two ex-shops. Yesterday the masons, their trucks, and the scaffolding were gone, leaving behind two attractive additions to the streetscape. This Has become this And this Has become this. 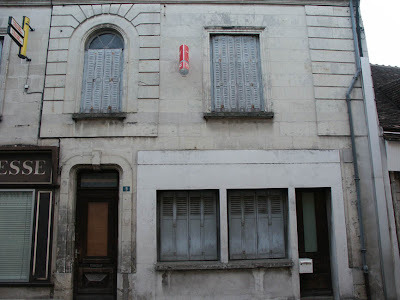 This now makes three buildings on the north side of the Grande Rue which have been turned back into houses, the other one having been transformed in January last year. 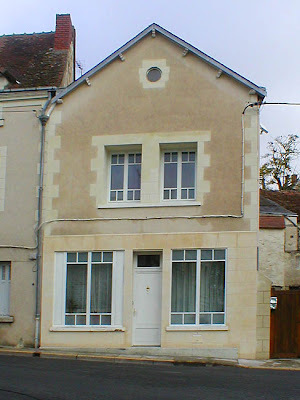 I knew that taking photos of every building on the main streets was a good idea when I first did it back in August 2006. I just had no idea why it would be a good idea. Our office at the top of the stairs (which isn't at the top of the staircase, but on the 1st floor landing) is taking shape. 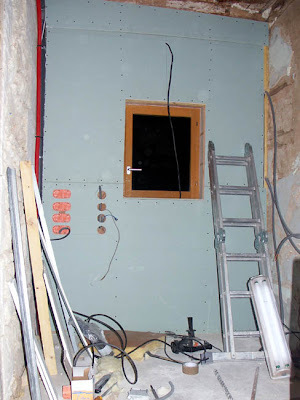 The outside wall is insulated and plasterboarded, the wiring is in place, and next week we board the wall between the office and the guest bedroom. At the moment this wall is mud, straw, and stuff, and very old and crumbly. It would be nice to be able to somehow acknowledge this wall in our new improved house, but it is in too much of a state so (reluctantly) plasterboard it is. The office, wired for computers and networks. 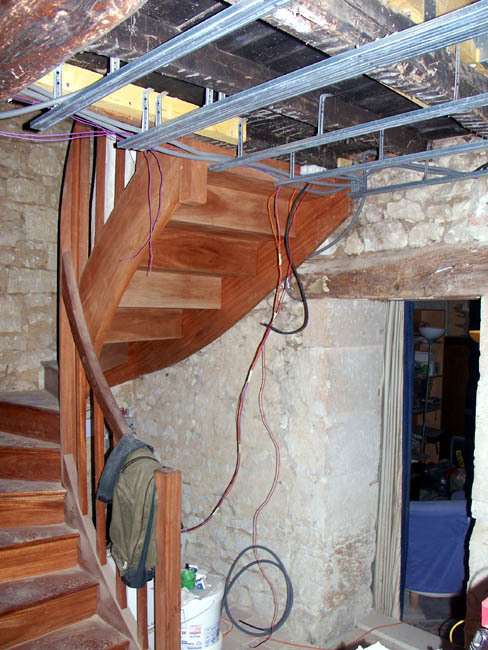 The wiring for the rest of the house is taking shape too. This took us at a bit of a surprise, but Stéphane and I suddenly realised that this was our last opportunity to put the wiring for the bedroom and lights for the staircase and have them invisible, as they are all routed via the office. Stéphane knows what he is doing. 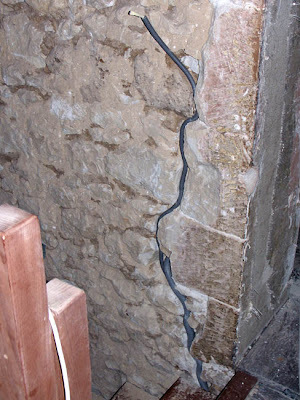 To get wires into the bedroom, they have to pass through a 60cm thick stone wall - no great difficulty, but it could be traumatic for someone not used to the frequency and casual way that walls get drilled through around here. In addition, the process of getting wire up a light switch for the staircase also involves chipping away at walls, this time the mortar between stones. When the wall is finished the wiring will be invisible behing a layer of chaux, and just the faces of the stones will be showing. This process will probably also start next week. 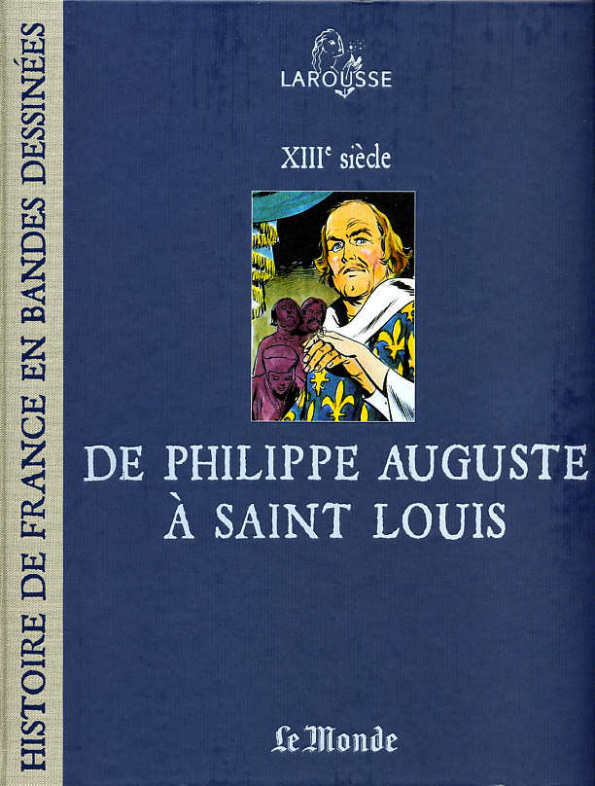 We mentioned many years ago (January 2007) that we had bought a book of old photos of Preuilly sur Claise. 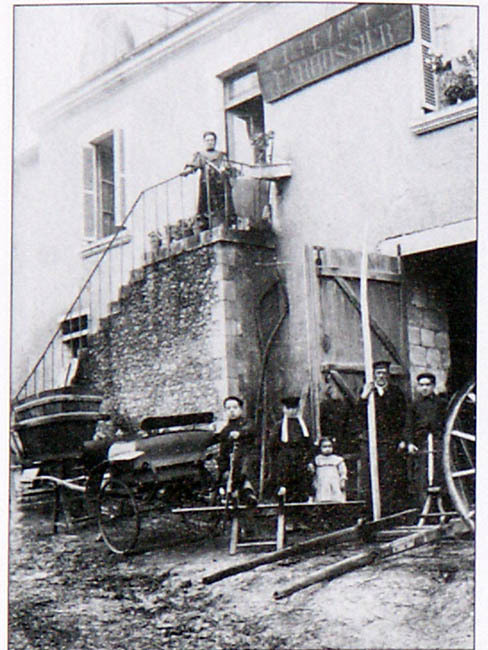 One of the photos has had me intruiged ever since we bought the book, but the other day it finally clicked: I knew where the old carriage works (carrossier) was. The strange thing is that this building has already been part of another mystery: it's also the old Eglise St Nicolas I spent quite a long time trying to find a couple of years ago. We have been working on the office. 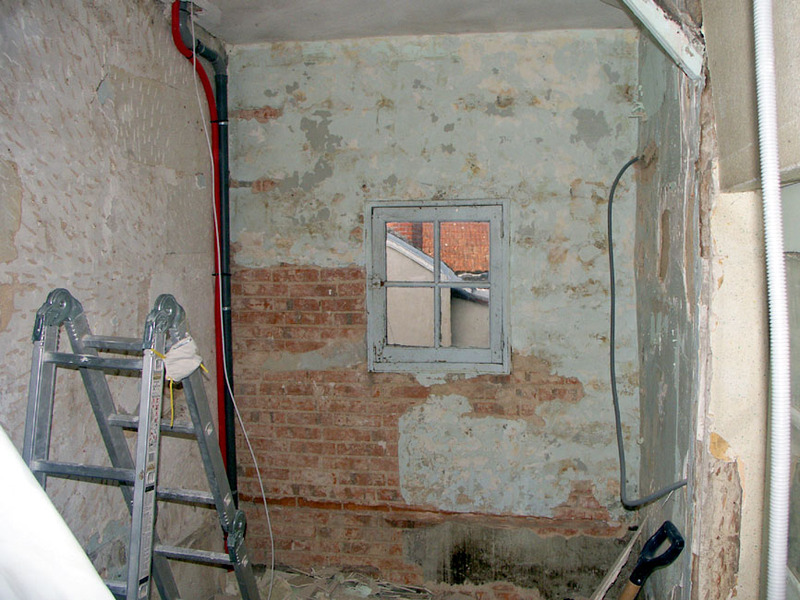 Last Thursday I mentioned about the stuff that fell out when we removed the ceiling, and a couple of days before that, the fact that the brick wall was an unattached curtain wall. Well - no longer. The frame of the wall has been built, and the brick wall tied back to it. 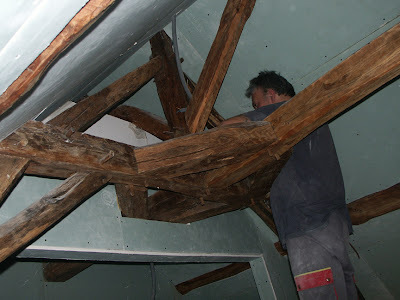 The frame itself screws to a large wooden beam that supports the roof, and the floor joists I inserted a couple of years ago. It is also bolted to 4 extremely large stones in the side wall (1 metre thick, and not going anywhere). 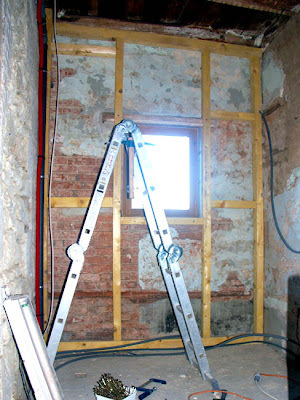 The brick wall is tied back very simply - large screws and even larger washers, going through the wall and into the wooden frame. It's not pretty, but it will work - as we were tightening the screws the brick wall shifted back about 1cm (½ inch). Now it doesn't move when I lean on it, a source of great comfort, and the aesthetic issues will be resolved when we get around to rendering the outside walls. 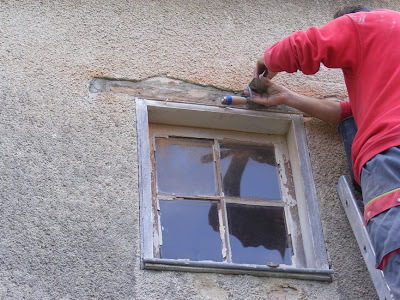 We have also used a can of expansive mousse (foam) to seal some of the gaps that have opened up. The wall will, of course, be insulated, but every little helps. 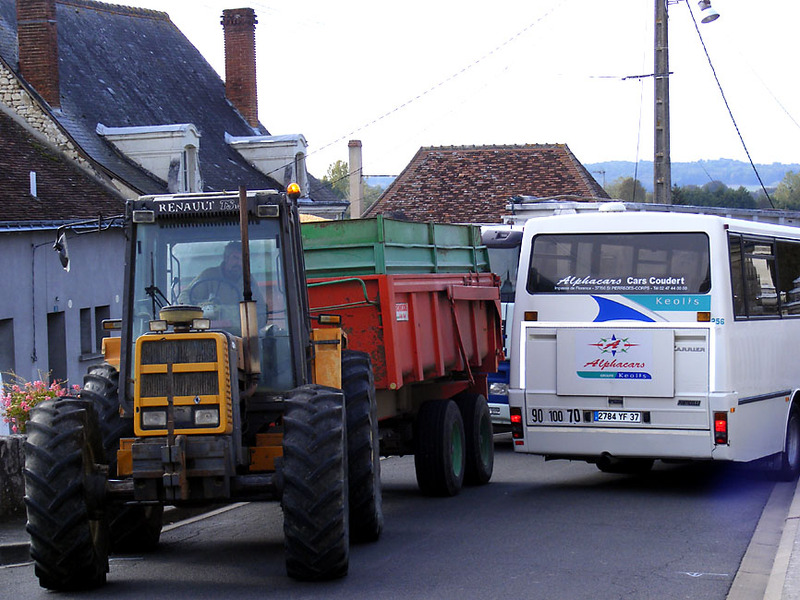 We have posted a couple of pictures of traffic jams in town during the past year. Here are some more. This was on Friday afternoon, after watching the races. I saw the school bus coming down the hill, and heard some machinery approaching. I had a suspicion it was going to be interesting. 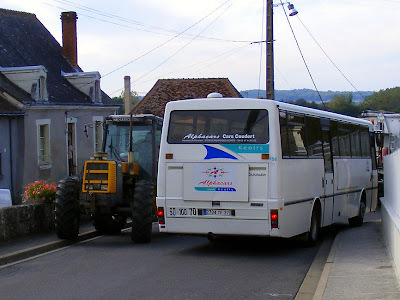 In the end the bus had to reverse up the hill so the truck didn't have to demolish the small wall. 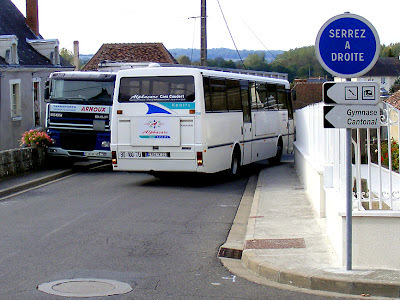 The "Serrez à Droite" sign only makes it more fun. This year's saffron harvest has been in full swing for almost week now. The weather is not so nice as last year, when we sat outside to pinch the valuable strands out of the centres of the flowers. It's colder and damper this year, and in the dull weather the flowers are not opening, making removing the stigmae even more fiddly. 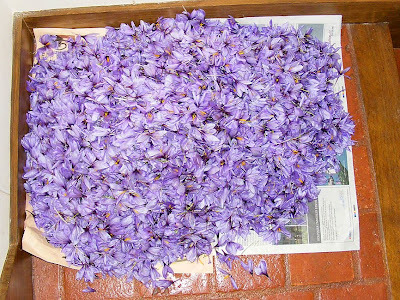 Monsieur Mériguet, the main local producer, is seated comfortably on his sofa with the fire going, and saffron crocus flowers spread everywhere, in piles, on newspaper, in various stages of processing. Saffron should be planted in August if you have dry bulbs, or you can plant it 'in the green', immediately after flowering, in early November. They are easy to grow and multiply rapidly. Monsieur Mériguet pointed out to me on Sunday that any soil and aspect that is suitable for vines is suitable for saffron (and for truffle oaks). Getting them to flower successfully however means planting them deeply. 15cm is recommended - any shallower, and all you will get is leaves. The saffron flowers from the weekend harvest, destined for the dyepot. This year I have arranged with him to take the flowers after they have been processed. Normally they would just go on the compost heap, but I want to experiment with using them to dye some cloth. Apparently, like many purple flowers, they make an attractive blue-green dye. It always seems such a shame to waste the lovely flowers, so I am hoping that my experiments produce something worthwhile. This will be my first foray into the textile art world in more than 10 years. Once upon a time, and for many years, working with textiles and thread to produce clothes and decorative objects was my main leisure activity. I haven't done much dyeing, but I think now is the time. I have the space to grow a lot of my own dyestuffs, and a nice outdoor area to work. My eyesight is no longer good enough for the sort of fine stitching, beadwork and textile manipulation that I used to do, but long ago I produced some natural indigo dyed samples and the magic of the process has stayed with me all these years. Of course, indigo is an entirely different kettle of dyestuffs to saffron flowers, but I am sure messing around with textiles again will be fun. I was very pleased to learn that, just when I need a refresher, there is an international conference on natural dyeing to be held at La Rochelle at Easter next year, so I am hoping to attend at least part of this. There are half a dozen Australians on the programme to speak, and a big marketplace which will be open to the general public. 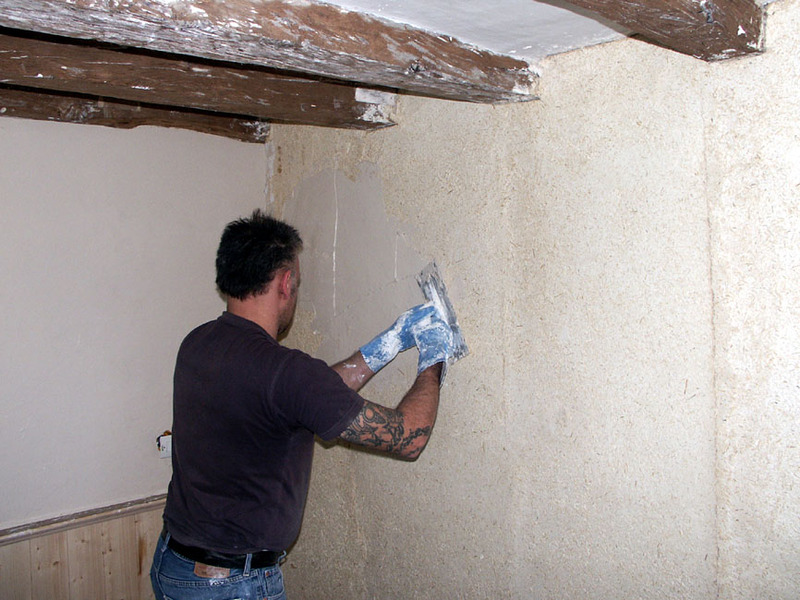 Stéphane plastering over the chaux-chanvre wall he made. A close up of the chaux-chanvre surface. Based in Chambray, the Alter'Energies association wants to promote new lifestyles, consumption and construction in order to reduce environmental footprints and encourage social equality. 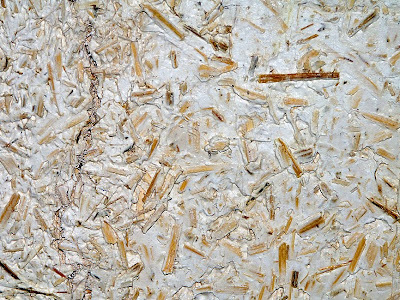 Eco-construction is one of three strands of activities that they concern themselves with (the other two are sustainable energy sources and sustainable agriculture).This weekend was the first open house event they have organised, and was designed to raise awareness of the organisation and the issues they are involved with. 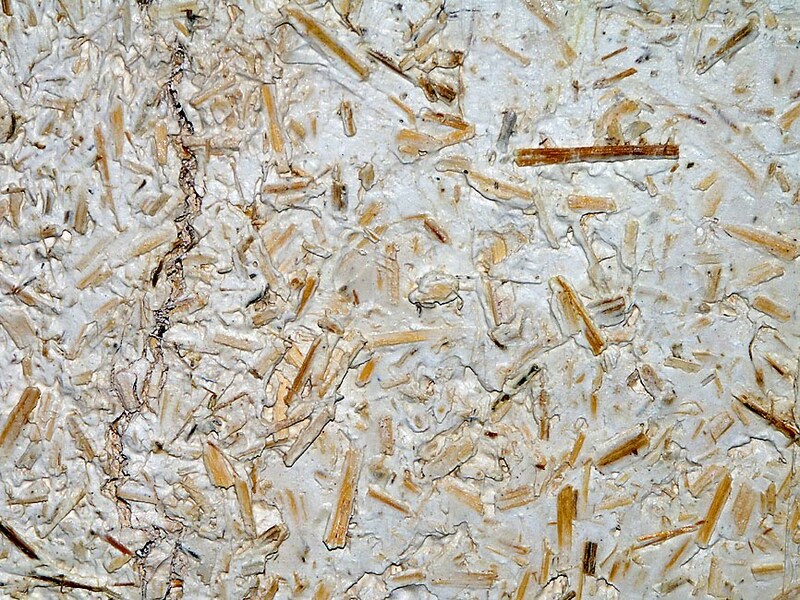 Fourteen homeowners across the département opened their doors to the public to show a variety of 'green' building techniques: straw bale construction, cotton waste insulation, chaux-chanvre (lime render with hemp for binding and insulation), pit toilets, reed or willow bed waste water treatment, mud bricks. The owners welcomed visitors and were on hand to explain their approach and share their experiences. The main objective is to create a constructive exchange about sustainable housing practices. window to show off some big, well cut stones. 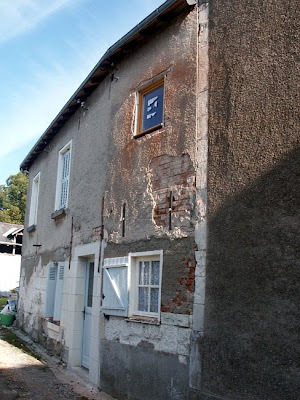 Ever since we discovered it a few years ago we have been keen to find out about the history of the mysterious factory at la Gâtineau, situated on the Creuse River, between La Roche Posay and Lésigny. At last, and quite by accident, we have come across some information, both official, and from a local source. The factory consists of a hydro-electric plant on a weir (barrage), which presumably powered whatever industrial activities took place in the extensive range of buildings and caves - that much is clear just by observation. There is a workshop (maybe a joiner), an office, stables, pulleys, an oven, and a good many random, industrial looking, objects. Unfortunately, one cannot enter the caves and explore because they are privately owned, dangerous, and in the winter, a roost for hibernating bats which must not be disturbed. The factory in the cliff. Our local source tells us that this was the first hydro-electric plant in France, built in the 1870s. One of the turbines no longer works, but the second still spins and produces electricity, although it is damaged and needs some repair. The factory produced precision parts for boats and aeroplanes, particularly screws for propelling boats and high specification engine parts. Our source thinks they may have even have made some parts for Concorde, but he is not sure. 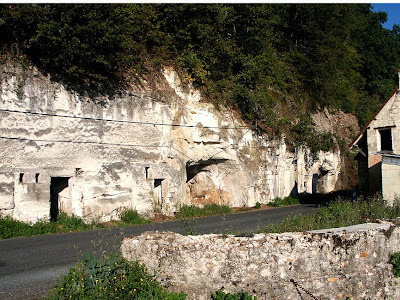 The site was chosen for this highly sensitive work because the humidity and temperature in the deep caves into the cliffs above the river is constant. The riverside location is also important because a reliable source of electricity was required for the power lathes used to shape the metal parts. We don't know when the factory closed, or whether it was purpose built for metal working, but it is possible, as smelting and forging have been traditional activities in this area for many centuries. It does not seem unlikely that some forward thinking manufacturer saw the opportunity to take metalworking a step further here in the late 19th century. A couple of weeks ago we drove past and realised that work was being done on the weir. We took a photo for the record, but it was only luck that we happened upon the explanation. The Office Nationale de l'eau et des milieux aquatiques (ONEMA) has carried out a check on the weir and required the owner to install a fish ladder for migrating Atlantic salmon, lamprey, shad, sea trout and eel, and to allow the natural movement of sediment. From its source in the Massif Central, the Creuse runs nearly 300 km to its confluence with the Vienne. The lower section, up to the impassable hydro-electric complex at Eguzon, is potentially accessible to migratory fish. However, this 124km stretch of river has 31 weirs or dams along its route - one every 4 km on average - that slow or block the flow of migrants. Work underway on the construction of the new fish ladder. 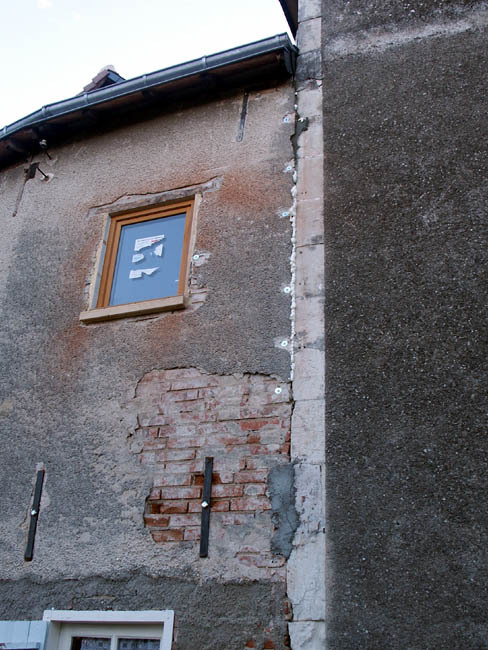 The owner was advised in February this year that the work must be completed within 8 months. 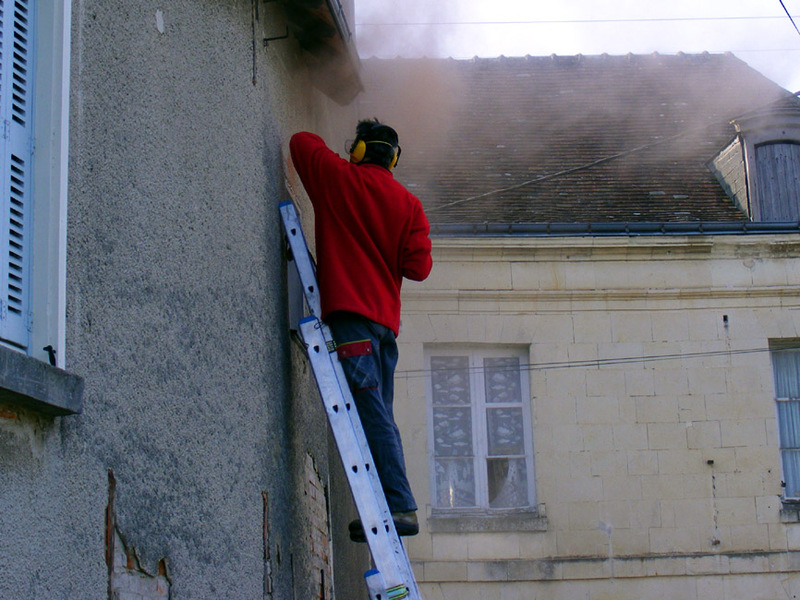 To force his hand, failure to comply would result in the termination of his contract with EDF (Electricité de France) who buy the power the plant generates. If the work drags on, he will be fined 100 euros a day after the deadline until the work is finished. The owner must comply with the ONEMA regulations by law, but has been given a grant in order to achieve the work, as he has been able to demonstrate his proposed improvements are suitable. 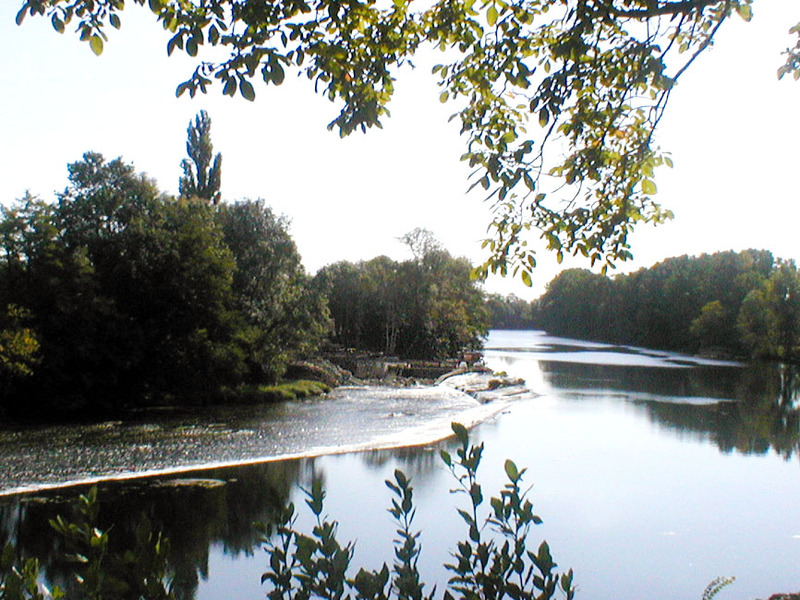 The site is one of two top priorities on the Creuse to bring the river management up to modern environmental standards. This all seems good news, and it will be interesting to see if the migratory fish make it this far. Our local source was extremely skeptical, saying that anglers would catch and eat any salmon that poked its nose into the Creuse long before we ever saw it. Even if the fish don't return, it's still an atmospheric and beautiful place, and we hope it can continue to be maintained in an informed and sustainable way. 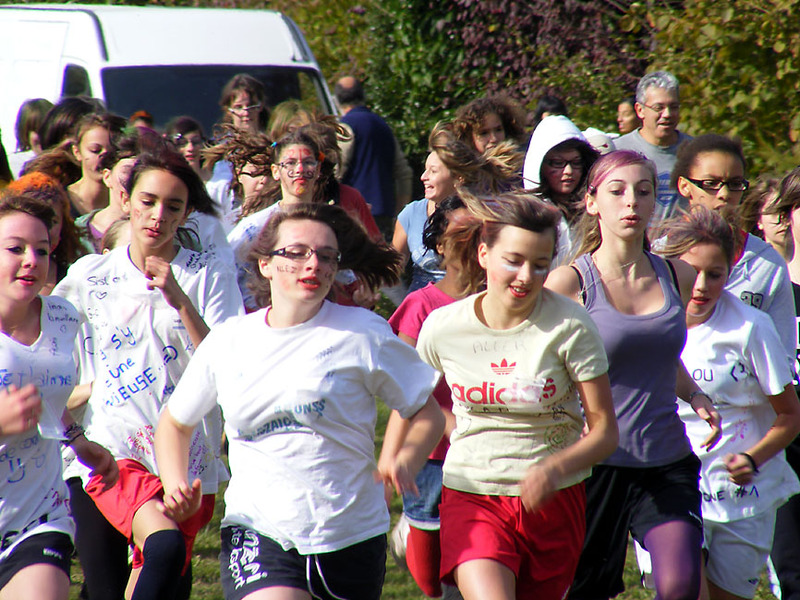 Yesterday afternoon Preuilly's population doubled and the average age halved, as 700 teenagers from colleges in the area descended on the plan d'eau for an inter-communal sports day. Students from Preuilly-sur-Claise, Ligueil and le Grand Pressigny were divided into two age and gender groups (12-13 and 14-15 year olds, boys and girls) and competed to run a course starting at the plan d'eau, out past the swimming pool, around along the river, back through the campground and down to the start, then around again - probably about 400m just over 1.5 km (1 mile or so). Whilst it seemed to be compulsory to participate, there was obviously no requirement to take it terribly seriously. Most of the kids were wearing 'warpaint', many of them with the initials of their school painted on their cheeks and hair dyed (probably a team colour). Some kids were more sportif than others and ran the course easily and eagerly. Others were less comfortable and were coaxed around by energetic teachers on bicycles or running themselves. After they had completed the course, each runner got a drink and a piece of cake and milled around with their mates. We cheered on our neighbours' children, and anyone between races stood on the sideline shouting Allez Preuilly ! Allez Ligueil ! Allez GP ! according to their personal allegiances. So - what effect is the strike having in Preuilly sur Claise? It's hard to tell, really - the town is always so quiet that it is difficult to notice when things get less noisy. Step out of our door any day, and the loudest thing you will hear is birdsong, the occasional sans permis or moto with engine screaming at 35kmh, and in autumn, a chainsaw or two. 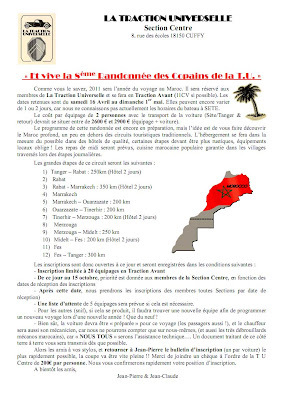 We do know the fuel situation at the local garages isn't very good: on Thursday last week there was a queue at Intermarché where normally there is no queue and the garage at the top of the hill has no diesel, but we filled the car on Saturday with not too much difficulty so we should be right for at least a month. 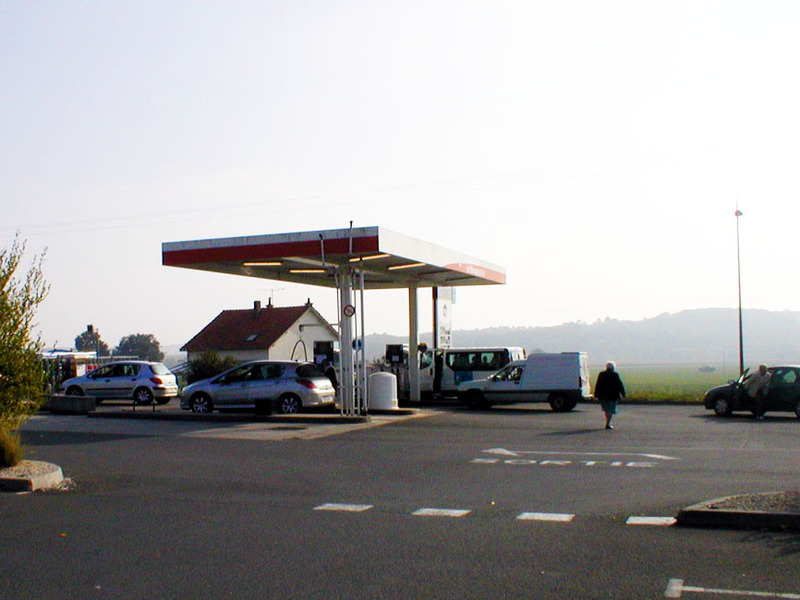 The supermarket fuel pumps were acknowledging a potential problem by posting notices saying pas des bidons (no jerrycans) and that the 24/24 facility had been switched off to prevent people stocking up in the middle of the night. We heard from a neighbour that someone took 2000 litres of diesel from the pumps in Preuilly in the middle of Saturday night - presumably a desperate farmer. He must have had to go around about 15 times. Our post is still being delivered, and on Wednesday we had some light fittings delivered by UPS. We are also expecting another delivery today (this time a seche serviette for the attic bathroom). 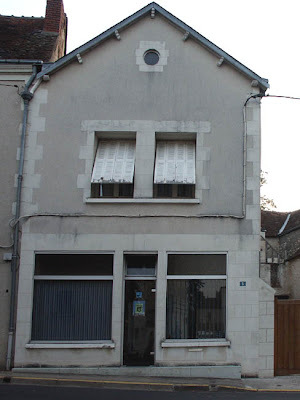 Susan paid our tax d'habitation and prélèvements sociaux at the Mairie without any problem, and the only time the local schools sent students home was when one of the teachers was off sick. 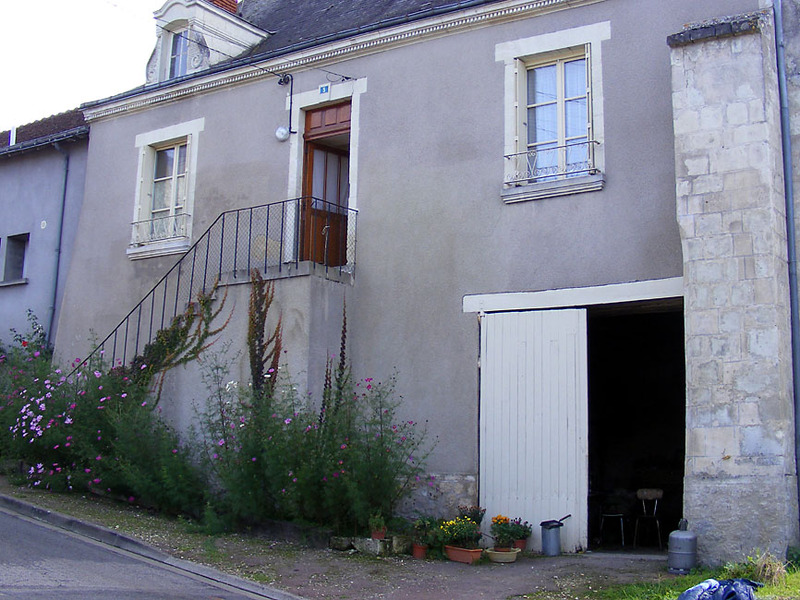 At the Market yesterday all the vendors were present and correct except for the fruit lady from Coussay le Bois, and the supermarket seemed to be suffering no shortages except for on the fish stall, half of which was taken up by bacon lardons so as not to look empty. So, even though the strike looks serious when you see it on the news, so far it hasn't has a huge impact here. The longer it goes on for, the more obvious the signs will become, but as long as the boulangerie doesn't run out of bread and the laitière keeps milking the cows, we have the staples covered. Yesterday we removed the ceiling above what will become the office space. This is a 6 inch deep gap between the old bathroom ceiling and the floor of the attic. The ceiling was previously plaster on laths, and because it broke when we removed the old bathroom wall, we will be replacing it plasterboard - a lot quicker and easier. 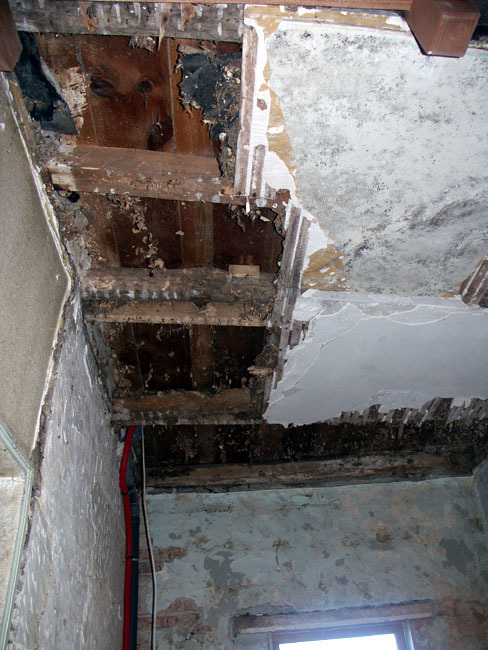 The gap above the ceiling was full of shredded newspaper, walnut shells and the "evidence" of vermin. 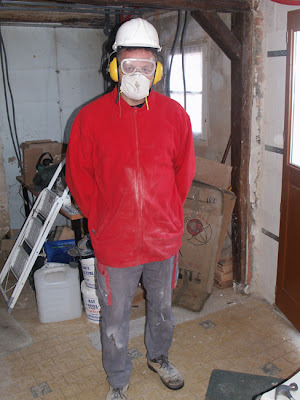 Needless to say, it was dusty, but this time also extremely smelly and unpleasant. About 20% of it (according to Stéphane, and he should know) was rat and mouse poo, all very dry and probably 50 years old. 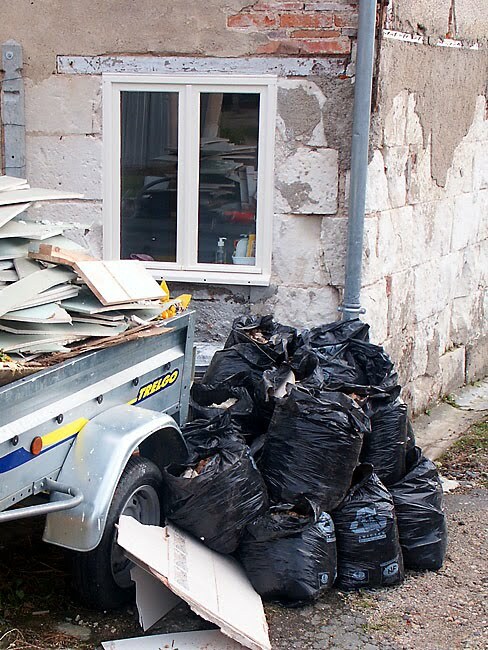 Tomorrow we got to the recycling centre. It will be interesting to see what they make (figuratively and literally) of our rubbish. 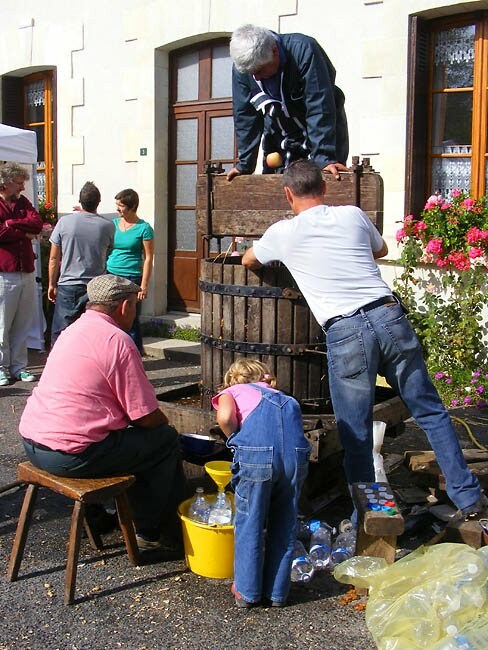 Fruit presses like this can be seen all over the Touraine, and are mainly used for grapes or apples. This one was pressing apples. The apples were roughly cut up and tipped in. After each vat of apples a layer of straw went in as a filter. To really get things going when the press was full, someone stood on top of the pressing board to make it easier to screw down. A nice touch was the apple impaled on the screw at the top, presumably a low tech health and safety device to prevent serious injury if the man in the press fell. 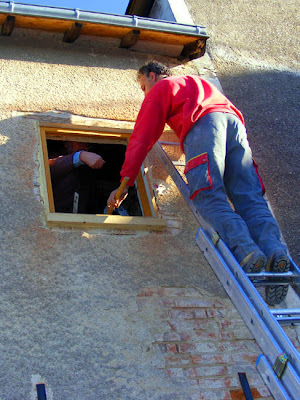 On Friday the new lintel was installed above the office window. Yesterday we installed the new window, which annoyingly and typically, is about 1cm bigger all round than the old. This was achieved with a lot of dust (when isn't there dust, I ask myself) by cutting back the bricks around the frame and removing another course of brick at the bottom of the opening. Next thing to do was line the opening with some wood we just happened to have lying around the place, which was screwed into place. Once that was done and squared to Stéphane's satisfaction the new window was slid into place, and the frame screwed to the wood lining the hole and the lintel. 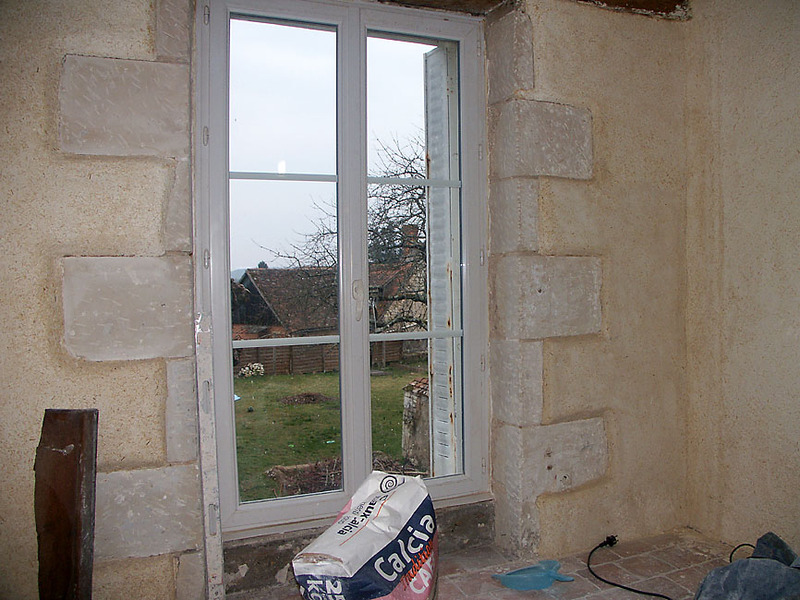 All that was then left to do was make a new sill in concrete to bring the wall up to the bottom of the window. The new window opens easier than the old window, closes a lot easier than the old window, and forms a barrier against wind and rain - something the old window had ceased to do aeons ago. 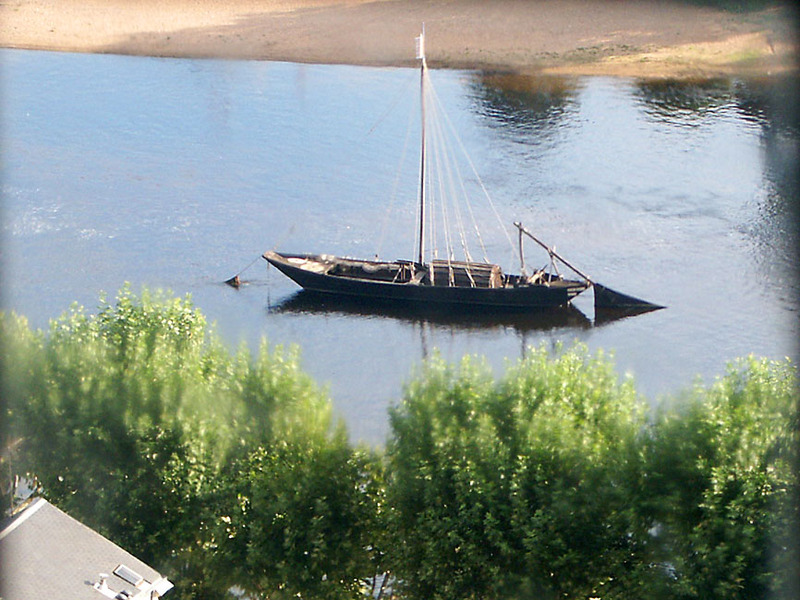 This is a Loire River Barge, taken from on high on the walls of the chateau of Chinon. The photo is slightly distorted because it has been taken through an old glass window. These barges were built upstream, and then in spring they were filled with goods and sailed to Nantes or Saint-Nazaire. There not only were the contents sold, but the boat was sold as lumber. Then the owner would return home (presumably by foot or cart) and build another boat. 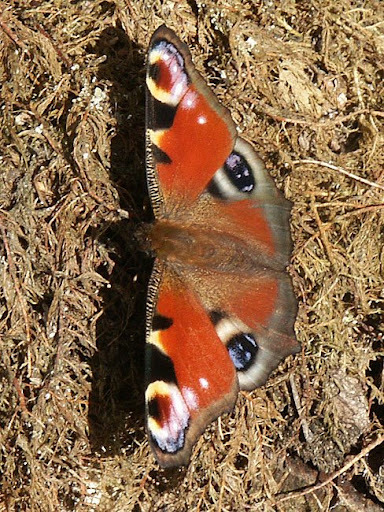 For butterflies to survive the winter they have to hibernate, or at least seek protection. 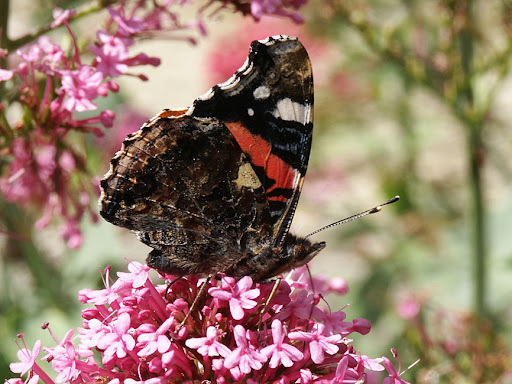 A few, like Red Admirals and Peacocks, hibernate as adults, clinging to walls inside barns and garden sheds and hoping not to freeze. Some hibernate as eggs, hidden deep within the larval food plant, and others as pupae, ready to hatch at the first hint of nice weather in the new year. Origanum vulgare (or l'origan in French) in August. A few don't actually hibernate, but spend the winter as caterpillars. When it's warm enough they munch their way through a leaf or two, but if it gets very cold they go dormant until the freeze is over. Of course, they don't go about in the open in the middle of winter. 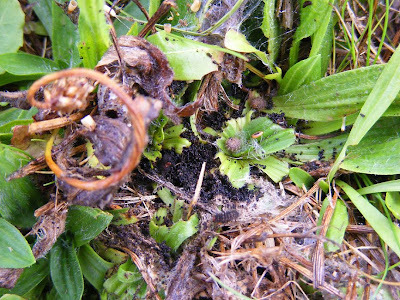 They huddle together in groups, protected by leaves and a web which they produce to keep the cold and predators out. The Glanville Fritillary Melitaea cinxia (la Mélitée du plantain in French) is one species that overwinters as a caterpillar. They are common in our orchard, and when I was mowing the other day I accidentally disturbed one of their 'nests'. It gave me the opportunity to photograph the inside, with caterpillars in several stages of development. I covered them back up again as best I could and hoped that they can repair the web. 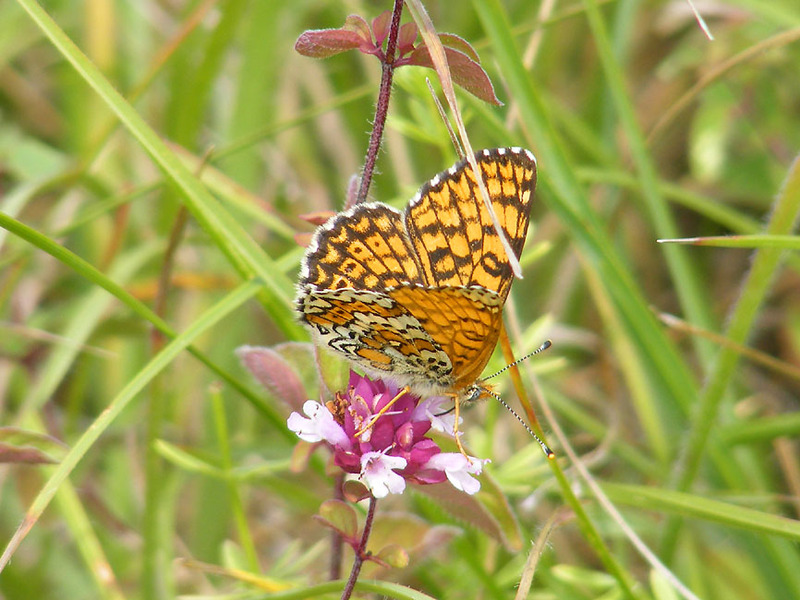 Glanville Fritillaries produce two generations a year and lay their eggs in clusters on the underside of Plantain leaves, where the caterpillars hatch out and live communally in their homespun silk nest. 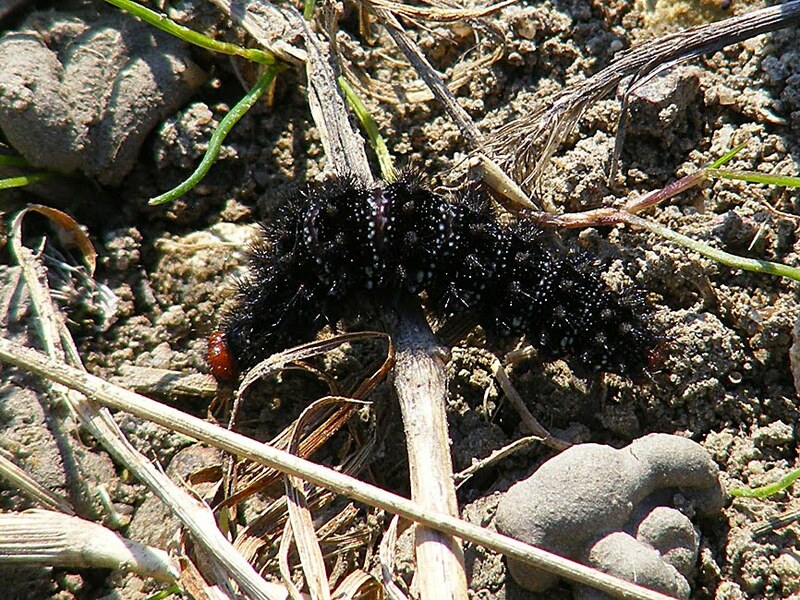 When the caterpillars are mature they are red headed, but young caterpillars are pale ochre with dark heads. You can see both in the photo above. The young ones greatly resemble the plantain flowers in the spring. The species seems to benefit from traditional agricultural practices, as the nests are often found in fallow land and along rural tracks where the roadside vegetation is full of plantain. 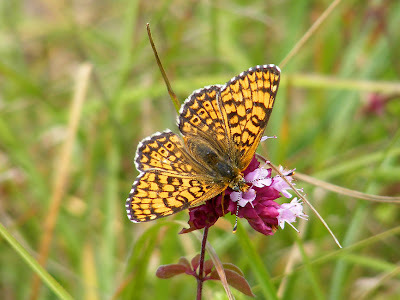 Adult males often sit with open wings on these dirt tracks, or on the tips of grass seed heads. They are assertive, agile and rapid flyers, and quite agressive to one another. ... or a lack thereof. 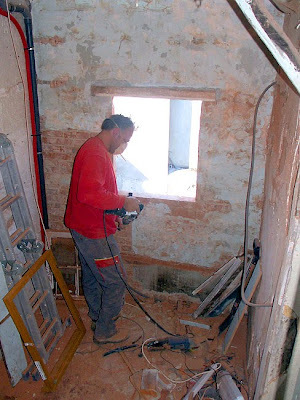 I mentioned yesterday that we are now working on the office, and we are replacing the window therein. This has thrown a curve ball at us, and although it is a problem we could do without, I am glad we noticed. walls, and something very important.. 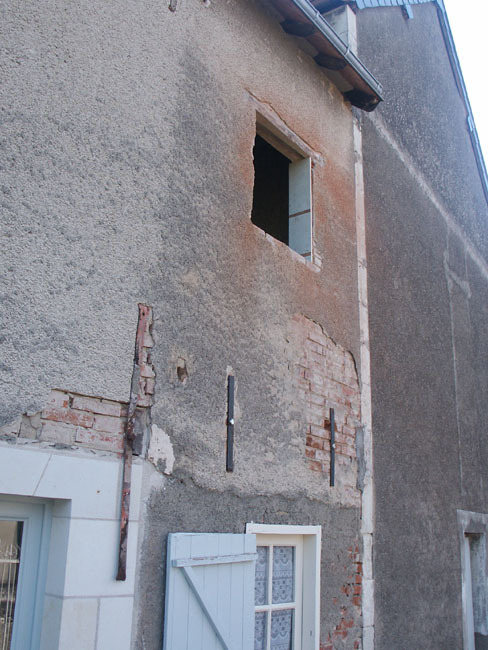 Neither of these windows have a lintel. This meant we had to cut out a course of brick above the window, and replace it with a piece of solid wood. Luckily we have the piece of poplar that was previously the lintel to our old back door, so this was cut to fit and reused. By lunchtime we had removed half of the bricks and slid the lintel into position (on the diagonal) and then cut out the rest of the bricks. After lunch the rest of the bricks were removed. the lintel inserted and chaux'd in place. On Monday we start building a frame for the wall and tying the bricks back to it (much in the same way we did with the garage earlier this year). This is necessary because the brickwork isn't tied in to the older part of the house, giving us in effect a brick curtain wall that doesn't attach to anything. This has meant that insulating and wiring the office will take at least two days longer than we planned for, but I like the reassurance of knowing the wall is less likely to fall out one day. Yesterday we cleaned up one room, and started making a mess in another. All the walls, floor, wiring, insulation and pipework is now finished in the attic bathroom, and Patrick starts doing the joints on Monday. This means that by the end of next week we hope to be painting in there. After that we have to tile the floor, and we can get the plumber back in to install the bath. will be. You can see the dust hasn't settled. 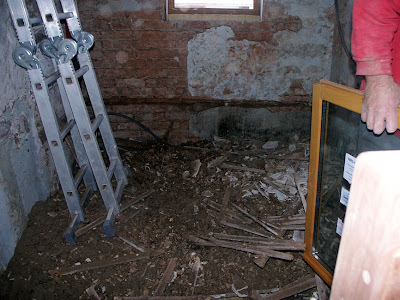 Immediately after sweeping the floor in the attic, we started work in what will be our "nerve centre". The room which was previously the bathroom and then our temporary bathroom will become a small office space, housing our main computer and all the other things that can clutter up a desk. From here we will have a wired network into three other rooms as wifi doesn't work well with metre thick stone walls (and I don't trust it anyway). 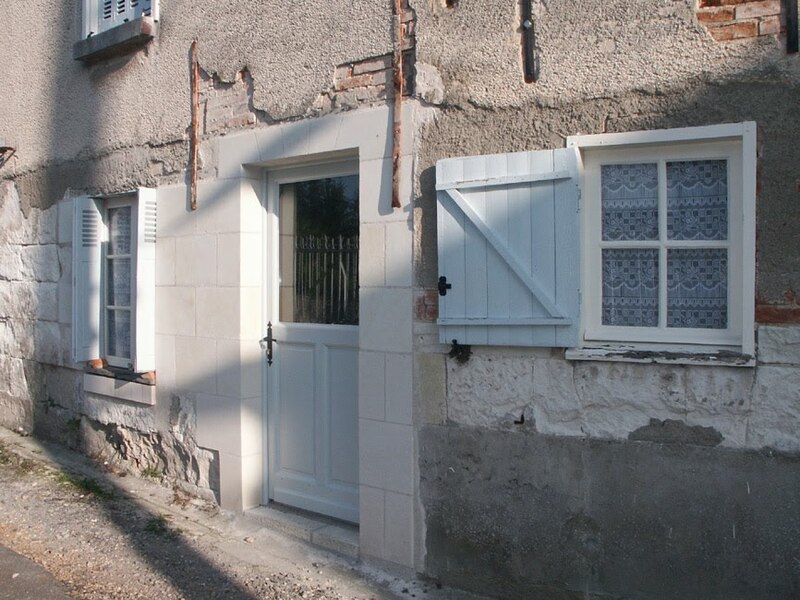 I have also painted our new back door. 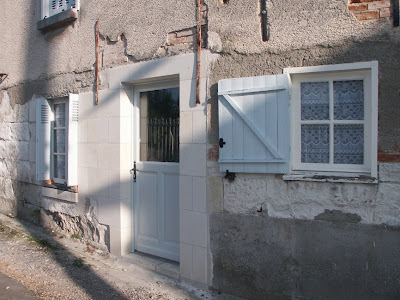 It is now the same colour as the old door was, and I think it makes quite a harmonious blend with the rest of the building. The paint works really well on the exotique wood that BricoDepot and Lapeyre use for their doors and windows. endless sunshine is really tempting. 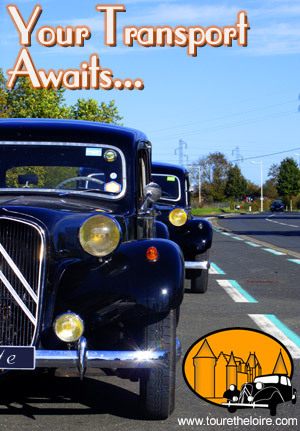 That's right: 2000km (1,200 miles) in two weeks in a classic 1953 Traction Avant travelling across desert to the Atlas mountains. The map is here. 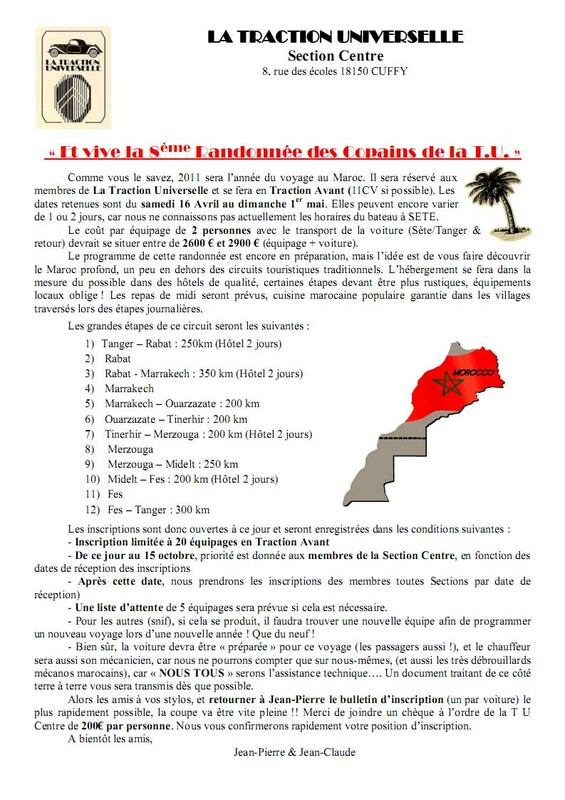 I don't think we will do the trip next year, but these are fairly regular occurrences, and the thought of Saharan sand dunes viewed through Célestine's windscreen is really tempting. 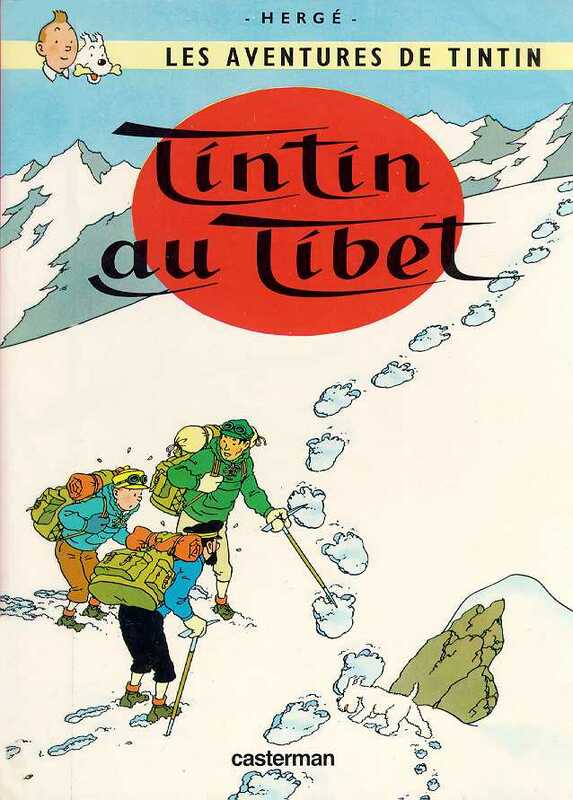 Susan mentioned yesterday that I had been inspired by a recent dose of Tintin comics - which isn't true: I haven't read a Tintin comic for at least two years. I have, however, joined the bibliothèque as part of my birthday present from my parents. This is part of my attempt to learn myself French. There doesn't appear to be any point trying to teach me French as it doesn't seem to go in, and anything that does go in goes out again almost instantly. If I can learn it without noticing it might stick, so I am borrowing books and trying to read them. 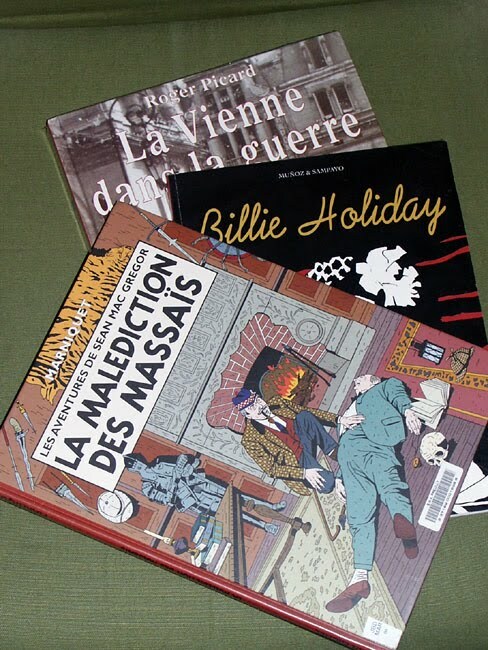 The pictures help, and I can borrow a whole series of Bandes Dessinés (comic books), which count as one book. Membership of the library is 15€ a year, and I can borrow three books, one CD and one DVD at a time. 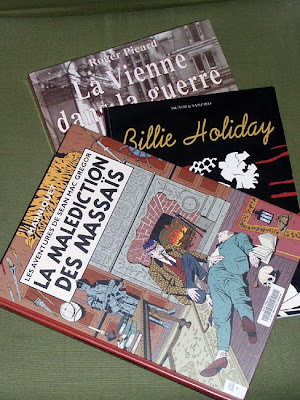 I forgot to ask how long I can have the books for, so I will have to trot out some mangled French (which the very nice librarian lady works hard to understand) and ask. 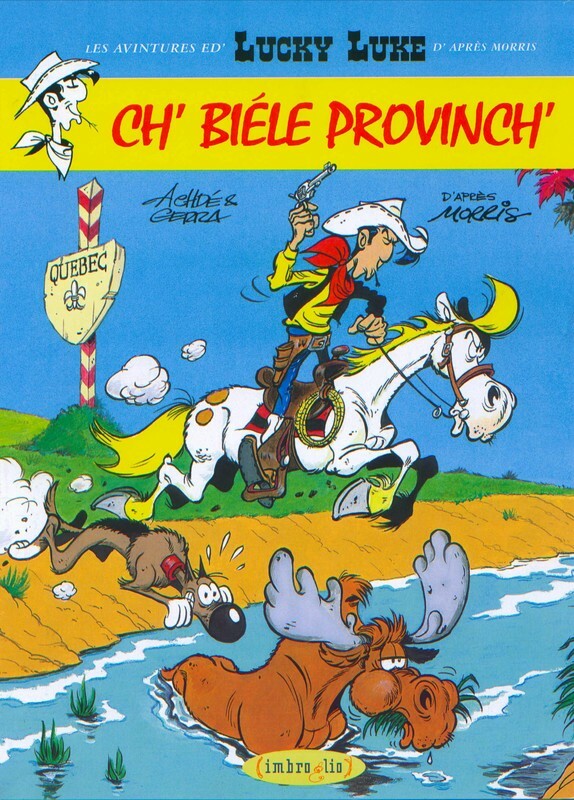 Bandes Dessinés are extremely popular in France (and Belgium) and are seen as just as valid as "proper" books. 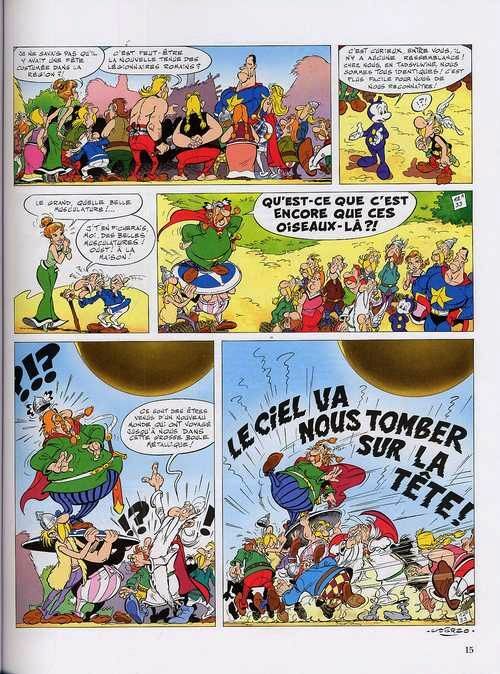 They range from Tintin, Lucky Luke and Asterix to reworked classics and serious history. 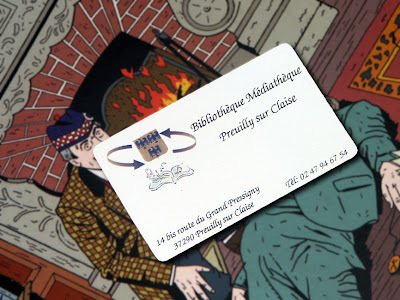 In January the Festival International de la Bande Dessinée is held in Angouleme (in the Charente) and attracts about 250,000 people every year. 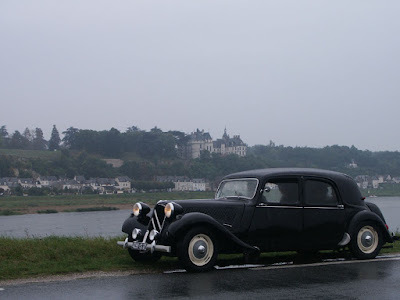 Probably our favourite of the big châteaux on the tourist route is Cheverny. 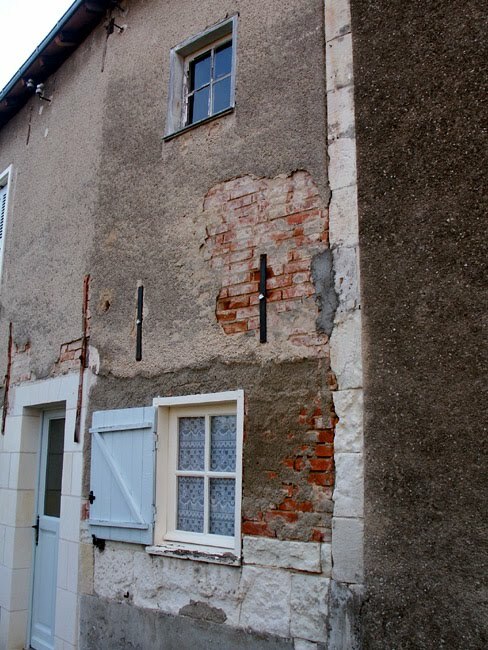 It's 17th century, so later than its rivals, but it has one great drawcard, quite rare amongst historic buildings, and particularly so in France. 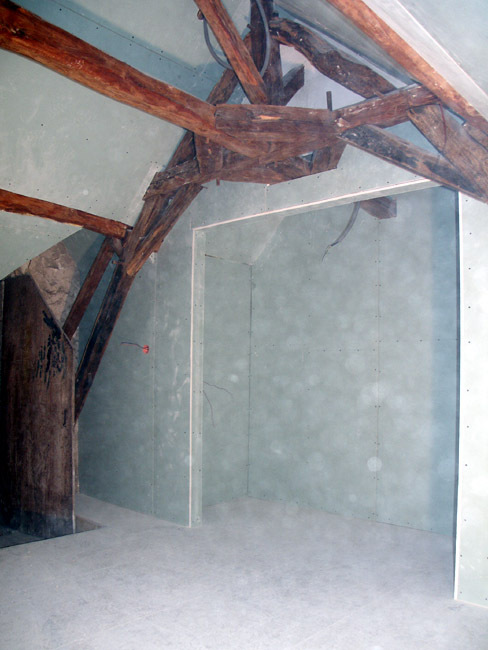 A major part of the interior decorative scheme is exactly contemporary with the building. Added to that, the building was completed in a single phase, and the result is a harmonious and classical exterior with a lavish and unrestrained interior. Cheverny in the reign of Louis XI. 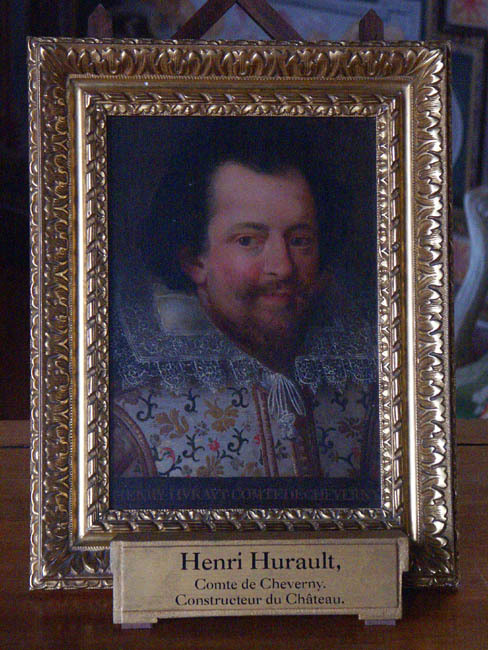 Henri Hurault, the man behind the creation of the building itself, looks a chirpy sort of chap, rosy cheeked and a bit mischievous. In fact, he was presumably rather a scoundrel, as the château was seized as punishment for his fraudulent activities. Henri II presented it as a gift to his mistress Diane de Poitiers. Practical businesswoman that she was, she promptly sold it back to Hurault's son. Thus, remarkably, with the odd hiccup here and there, it has stayed in the family ever since. The famous pack of hounds all have the 'V' of Vibraye clipped into their flanks and the current owner is the Maquis of Vibraye, a title the family acquired in the 19th century. In the corridor off which the private apartments are accessed hang numerous portraits of family members through the ages, all of them seeming to have inherited Henri's amused and benign expression. It is very appealing. 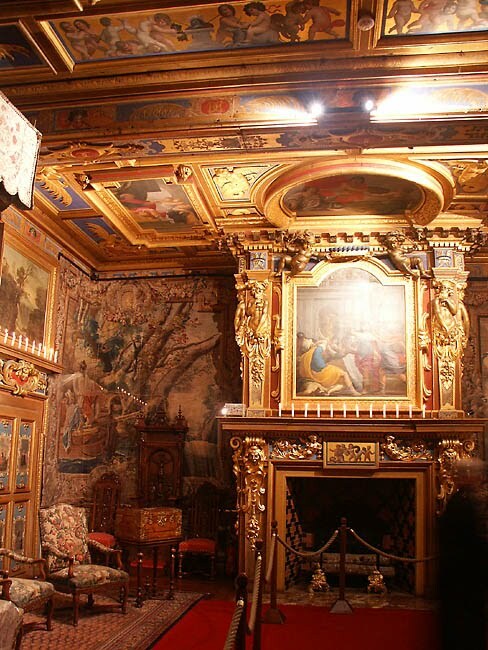 The richest and most sumptuous of the rooms open to the public is the King's Bedroom, hung with 17th century tapestries made in Paris and depicting the story of Odysseus' return from the Trojan War. 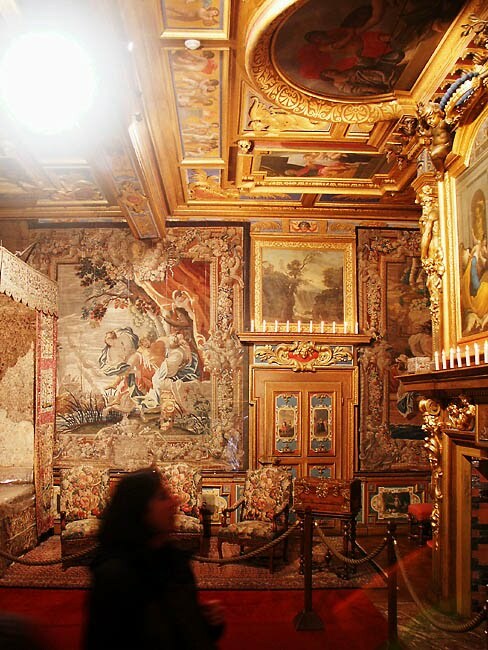 On the highly ornate ceiling are paintings of mythological subjects by Jean Mosnier, an artist from Blois who is responsible for all the ceiling decoration and wall panels in this part of the château. 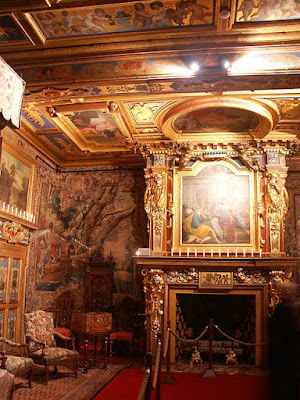 wonder at all that gilding. And if that wasn't enough, the Château has two more major attractions. The first is the pack of hounds which are on full view to visitors. They are big dogs and although most of the time just enjoy being together, there is a fairly constant jostling for position and rank to remind you that these are pack animals. Plus, in a building near the kennels there is a museum dedicated to the Adventures of Tintin. 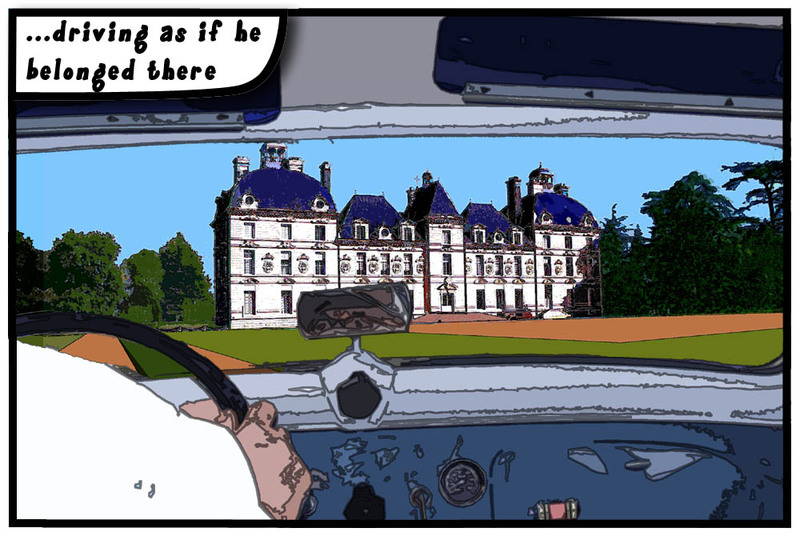 Cheverny served as the model for Moulinsart (Marlinspike Hall) in the much loved comic strip.